Cities (2010 census): Capital: Hamilton (pop. 3,679). Other city — St. George (pop. 3,400). Nationality: Noun and adjective: Bermudian(s). Education: Years compulsory: to age 18. Bermuda placed third overall of six developed nations (ahead of Canada, the U.S., and Italy, but behind Norway and Sweden) in the 2005 Adult Literacy and Life Skills Survey initiated by the Organization for Economic Cooperation and Development (OECD). Health (2009 est. ): Infant mortality rate — 2.46/1,000. Life expectancy — men 77.2 years, women 83.72 years. Work force (2010): 39,727. By occupation (2010) — professionals 19%; service workers/shop and market sales workers 19%; senior officials/managers 18%; clerks 17%; craft and related trade workers 9%; technicians/associated professionals 8%; plant and machine operators and assemblers 5%; elementary occupations (mostly simple and routine tasks) 3%; agriculture and fisheries workers 2%. Branches: Chief of State: Queen Elizabeth II, British monarch (head of state, represented by a governor). Head of Government — Premier, Paula Cox. Legislative — Senate (upper house, 11 members appointed by the governor, the premier, and the opposition); House of Assembly (lower house; 36 seats elected by popular vote). Judicial — Supreme Court. GDP (current market prices, 2009): $5.7 billion. Sectors — 26% ($1.543 billion) from international companies; 14% ($876 million) from real estate and rental; 12% ($923 million) from financial intermediation; 10% ($597 million) from business activities; 6% ($397 million) from education, health and social work; 8% ($435 million) from wholesale, retail trade, and repair services; 5% ($326 million) from public administration; 5% ($370 million) from construction and quarrying; 4% ($308 million) from the hotel and restaurant sector; 4% ($297 million) from transport and communications; and 1% each ($309 million) for manufacturing, utilities supply, and community/social/personal services; 3% other sectors. Agriculture: Products: semitropical produce, dairy products, flowers, honey. Industry: Types: re/insurance, financial services, tourism, structural concrete products, paints, perfumes, furniture. Trade: Exports (2009, includes re-exports): $28.7 million: pharmaceuticals, semitropical produce, light manufactures. Imports (2009) — $1.051 billion: food, clothing, household goods, chemicals, live animals, machinery, transport, and miscellaneous manufactures. Major suppliers — U.S. (68%), Canada (7%), United Kingdom (4%), Caribbean countries (2%), other (19%). Bermuda is an archipelago consisting of seven main islands and many smaller islands and islets lying about 1,050 kilometers (650 mi.) east of North Carolina. The main islands — with hilly terrain and subtropical climate — are clustered together, connected by bridges, and are considered to be a geographic unit, referred to as the Island of Bermuda. The 36-member House is elected from 36 electoral districts (one representative from each district) for a term not to exceed 5 years. The Senate, or reviewing house, serves concurrently with the House and has 11 members — five appointed by the governor in consultation with the premier, three by the opposition leader, and three at the governor's discretion. Following a bitter and divisive general election on December 18, 2007 — which many predicted would be very close — the PLP under Premier Ewart Brown was returned to power with the same number of seats as it had going into the election. The opposition UBP lost its third successive election, leading to calls for major change that resulted in the demise of the party and the formation of the new opposition OBA in 2011. Bermuda's interests in the U.S. are represented by the United Kingdom, whose embassy (http://ukinusa.fco.gov.uk/en) is at 3100 Massachusetts Avenue, NW, Washington, DC 20008; tel: 202-588-6500; fax: 202-588-7870. Bermuda also has an office at "Liberty Place," Suite 350, 325 7th Street NW, Washington, DC 20004. 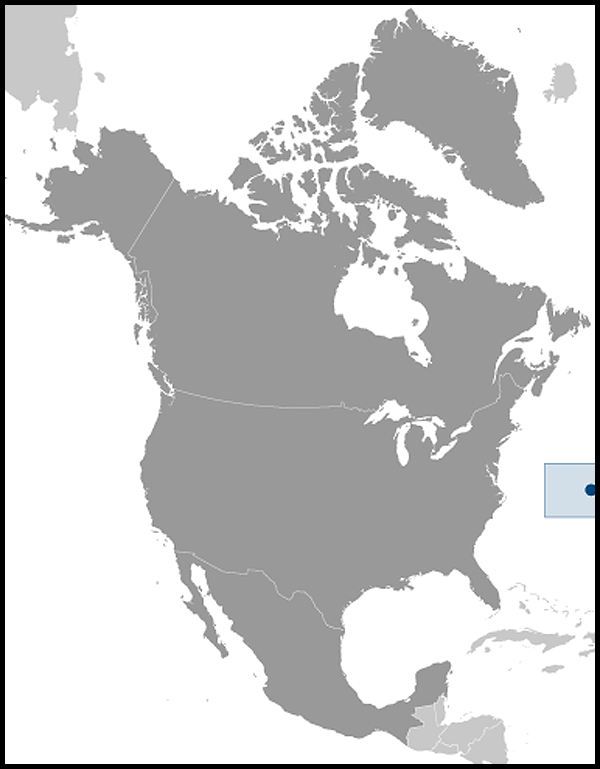 The United Kingdom is formally responsible for Bermuda's foreign and defense policy. 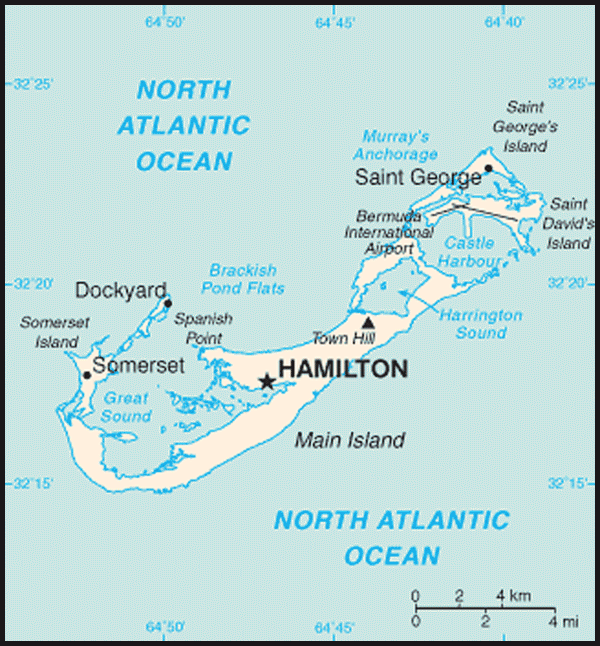 U.S. policy toward the U.K. is the basis of U.S.- Bermuda relations. In the early 20th century, as modern transportation and communication systems developed, Bermuda became a popular destination for wealthy U.S., British, and Canadian tourists. While the tariff enacted in 1930 by the U.S. against its trading partners ended Bermuda's once-thriving agricultural export trade — primarily fresh vegetables to the U.S. — it helped spur the overseas territory to develop its tourist industry, which is second only to international business in terms of economic importance to the island. U.S. visitors are critical to the island's tourism industry, but overall the number of U.S. visitors to Bermuda has been declining. In 2010, 483,264 Americans visited. Another 3,046 Americans sailed to the island via private yacht in 2010, an increase from 2,222 in 2009. Air arrivals in particular dropped, down to 166,016 in 2010, compared to 172,648 in 2009. To some extent that shortfall has been made up by an increase in American cruise ship visitors — 314,202 in 2010 compared to 286,819 in 2009. The U.S. Consulate General is located at "Crown Hill," 16 Middle Road, Devonshire, just outside the City of Hamilton; tel: 441-295-1342; fax: 441-295-1592; web site: (http://hamilton.usconsulate.gov/).